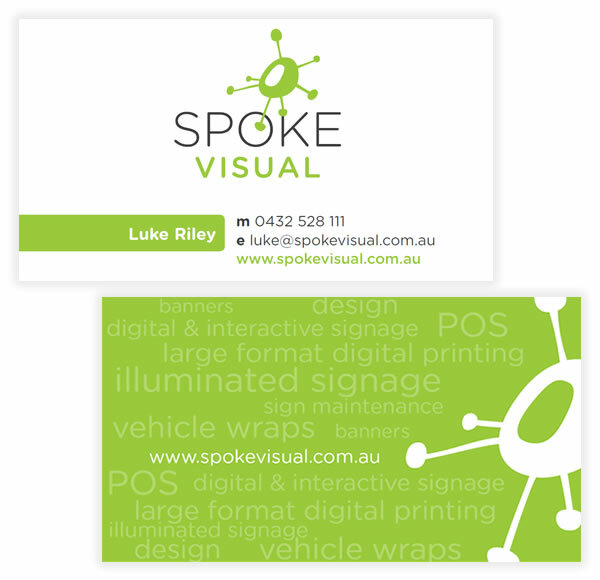 Spoke Visual is a new company specialising in signage, installations, digital signs and wall graphics. They needed a strong creative brand that highlighted their multi-faceted capabilities. The final logo choice encompasses these requirements and works well in many mediums. Their business cards are eye catching and include a spot varnish on the reverse that highlights their various capabilities.